Prime Minister Narendra Modi and several other political leaders across the country remembered former Prime Minister Rajiv Gandhi and his contribution to the nation on his 73rd birth anniversary on Sunday. Rajiv Gandhi was born on this day in 1944 and was assassinated on May 21, 1991. "On his birth anniversary, we remember former PM Shri Rajiv Gandhi & recall his contribution to the nation," Modi tweeted. 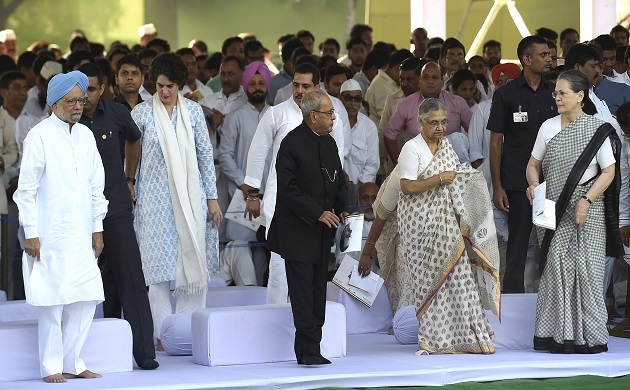 Apart from them, wife Sonia Gandhi and son Rahul Gandhi and daughter Priyanka Gandhi Vadra have also gathered in front of his memorial, Vir Bhoomi in New Delhi and paid tributes to the youngest Prime Minister of the country. Former Prime Minister Manmohan Singh, former President Pranab Mukherjee and former Lok Sabha speaker Meira Kumar were also spotted at the event. On this special day the politician is being inundated with best wishes from across the political spectrum. His birthday is also celebrated as Sadbhavna Diwas. Let's have a look at some of the glimpses of that special event in front of Vir Bhoomi in New Delhi. Senior Congress leader Manmohan Singh and former President Pranab Mukherjee paid tribute to Rajiv Gandhi at his memorial, Vir Bhoomi. 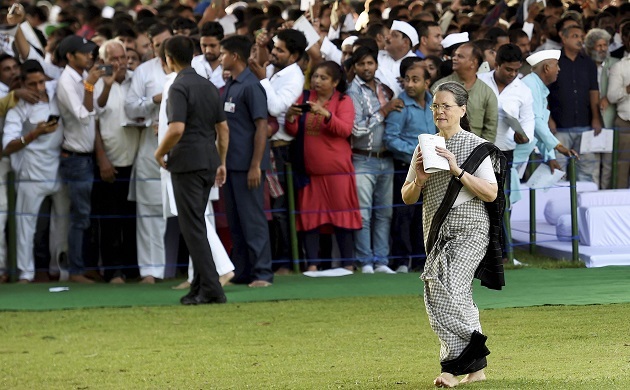 Congress President Sonia Gandhi after paying tribute to Rajiv Gandhi on his 73rd birth anniversary on Sunday. 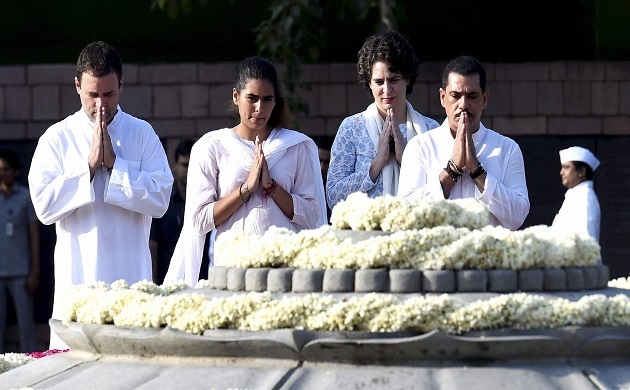 Congress Vice President Rahul Gandhi, Priyanka Vadra, Robert Vadra and their daughter Miraya Vadra paying tribute to Rajiv Gandhi on his birth anniversary at Veer Bhumi in New Delhi. 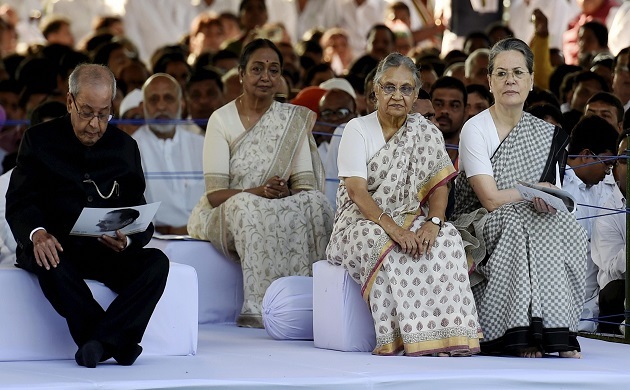 Former President Pranab Mukherjee, Former Prime Minister Manmohan Singh and Congress President Sonia Gandhi with party leader Sheila Dixit to pay tribute to Rajiv Gandhi, the youngest Prime Minister of India. 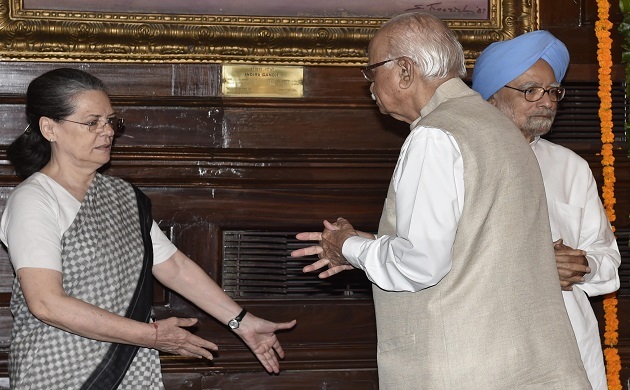 Congress President Sonia Gandhi interacting with senior BJP leader L. K. Advani after paying tribute to Rajiv Gandhi on his 73rd Birth anniversary at Veer Bhumi in New Delhi on Sunday. Former Lok Sabha speaker Meira Kumar was also spotted at the event to pay tribute to Rajiv Gandhi on his birth anniversary on Sunday. 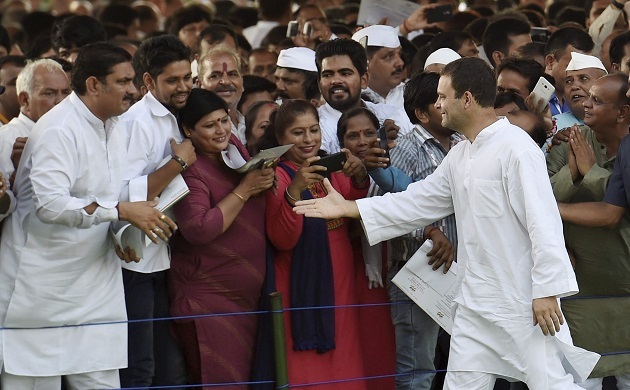 Congress Vice President Rahul Gandhi interacing with his supporters after paying tribute to Rajiv Gandhi at Veer Bhumi in New Delhi on Sunday.